My co-traveller Meg is on a mission. 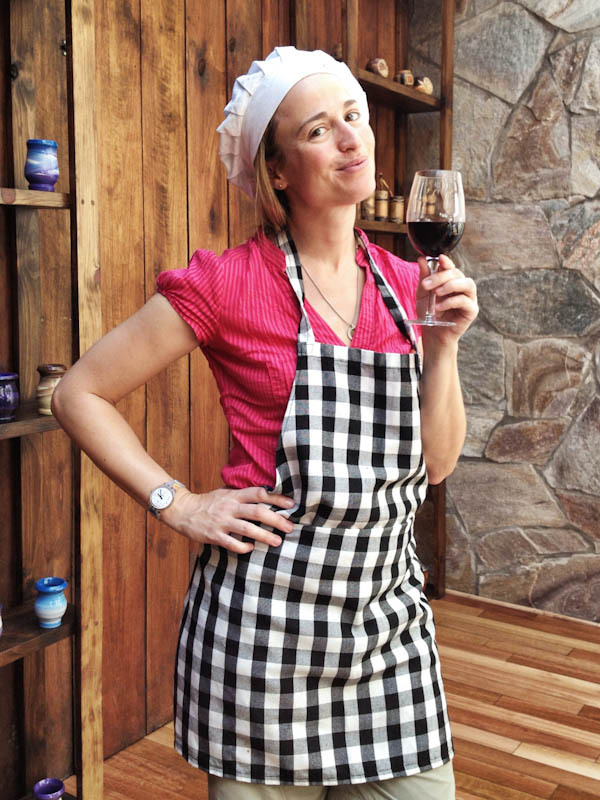 She’s planning to cook her way around the world, from alfajores to some kind of exotic food beginning with z. Then she is going to put all her recipes into a book. I have discovered that this has some implications for our travels together. Firstly, it means she generally gets to cook (unless we’re eating steak, again) and I get to do the washing up (which normally I wouldn’t be happy with, but Meg does cook very well). Secondly, trips to the supermarket take longer, because she doesn’t seem to appreciate my ‘buy exactly the same stuff to eat every single time’ technique. Thirdly, she goes off and arranges cooking-type things and I reap the benefits in return for sundry photographic services. When Meg made alfajores and tart de coco, I got to eat them (after helping her take 500 photographs first). And when Meg arranged an afternoon learning how to make empanadas at The Argentine Experience, I got to tag along as the official photographer. Me, being an official photographer. On our arrival (as they say in the brochures), we were handed chilled glasses of peach-flavoured iced mate and led to the sunny, spacious dining and demonstration room, where our chef? teacher? entertainer? Richard got us to don chef’s hats and aprons, poured us some exquisitely light Malbec and explained various things about empanadas, most of which I have forgotten because I was trying to drink Malbec and take photographs at the same time. Different shapes and pastry-folding-closing techniques (called repulgas) are supposed to be used depending on what’s inside an empanada. It is of the utmost importance not to overstuff an empanada. Point 2 was particularly relevant, because instead of the usual (and to be brutally honest, rather boring) empanada-inner ingredients of ham and cheese, chicken or mince, we were supplied with malbec-soaked fillet of beef-bourguignon, a melange of grated gourmet cheeses, sweetly stewed red onions and toothsome ratatouille. My empanadas, looking very neat. 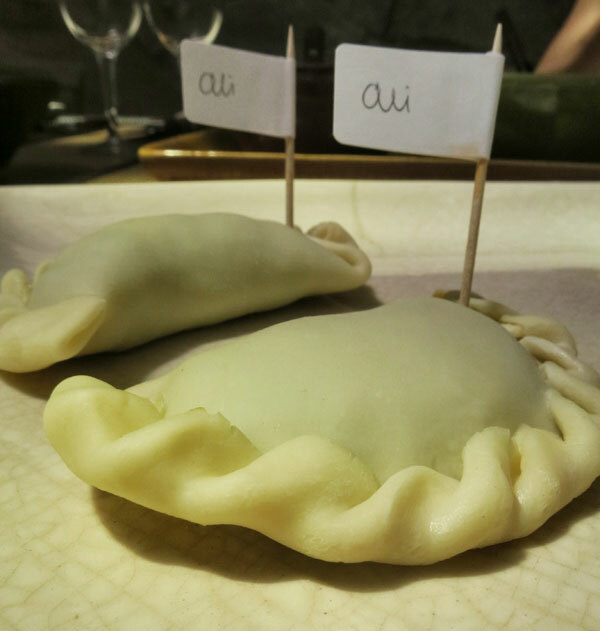 Our conventional empanadas were whisked off to be brushed with egg and baked while we were given our next assignment: create the most original empanada ever. An international panel of judges (mysterious and unnamed) would decide on a winner, who would receive prizes (also mysterious and unnamed). 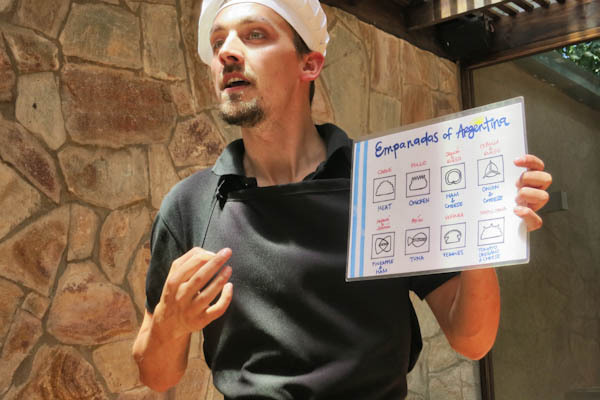 Instantly, a spirit of nail-biting competitiveness overcame the previously relaxed table as South Africans, Americans, Brazilians and Canadians unleashed their pastry-shaping ninja-skills. 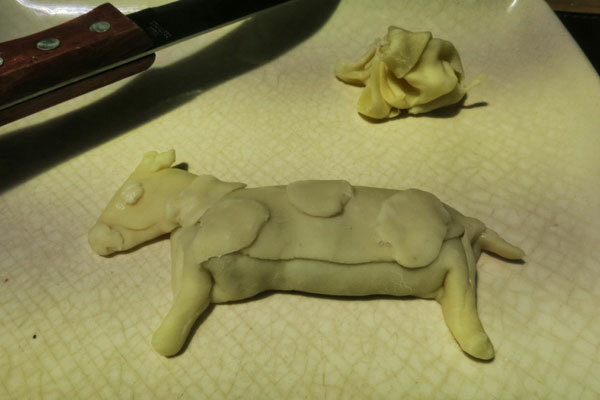 With startling originality, I decided to make a beef empanada in the shape of a cow. Since I couldn’t really remember what a cow looked like (Richard had opened another, richer, deeper and even more delicious Malbec), this was an ambitious decision. Once we had completed this Herculean task, our first pair of empanadas, now crisp and golden were set before us, along with a feast of creamy mashed potatoes (the secret is to roast your tatties, not boil them before mashing) and richly roasted vegetables. 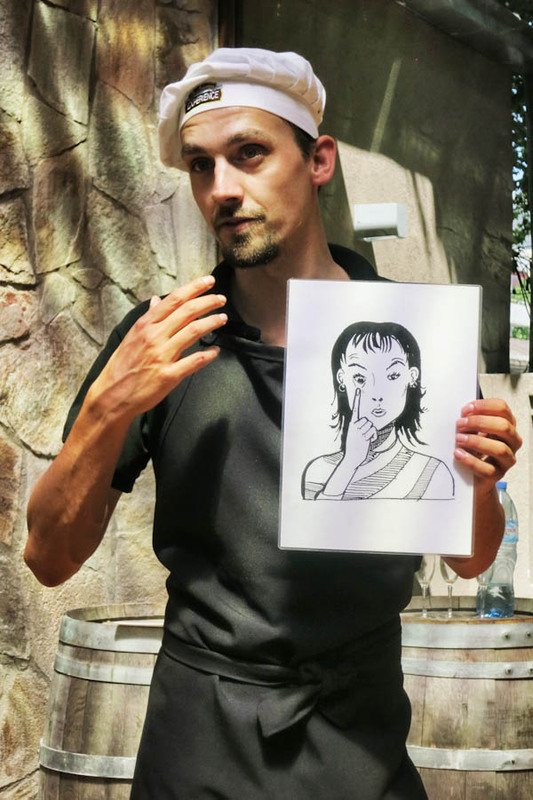 While we ate lunch (and drank more Malbec), Richard explained how to understand Argentinians, even if we didn’t speak a word of Spanish. Once we had all performed the ‘¿Que te pasa?’ irate-Buenos-Aires taxi-driver expression to Richard’s satisfaction, we were rewarded with alfajores and mate. The sweetness of the former provides the perfect foil to the refreshing bitterness of the latter. We were shown the correct way to prepare our mate and sift out the green dust, and warned NEVER to adjust the bombilla once positioned (an unthinkable sin amongst mate-drinkers the world over). However, since we were all gringos, and were presumed to have a strange aversion to sharing straws with strangers, we each had our own mate. This took some of the fun out of mate drinking for me, as I find I need the interval while the mate is passed around to develop a desire for more. So, I drank more Malbec instead. It was just as well I did, for a crushing blow was about to fall upon me. 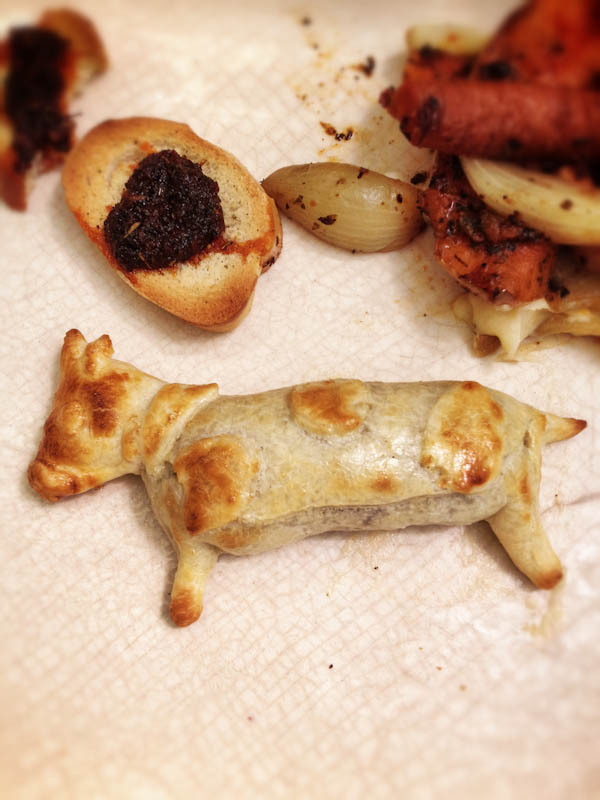 The competition results were announced and the international panel of judges had spurned my cow-shaped empanada. The winner of eternal glory, and a jar of gourmet Chimichurri, was none other than Meg and her monster empanada. 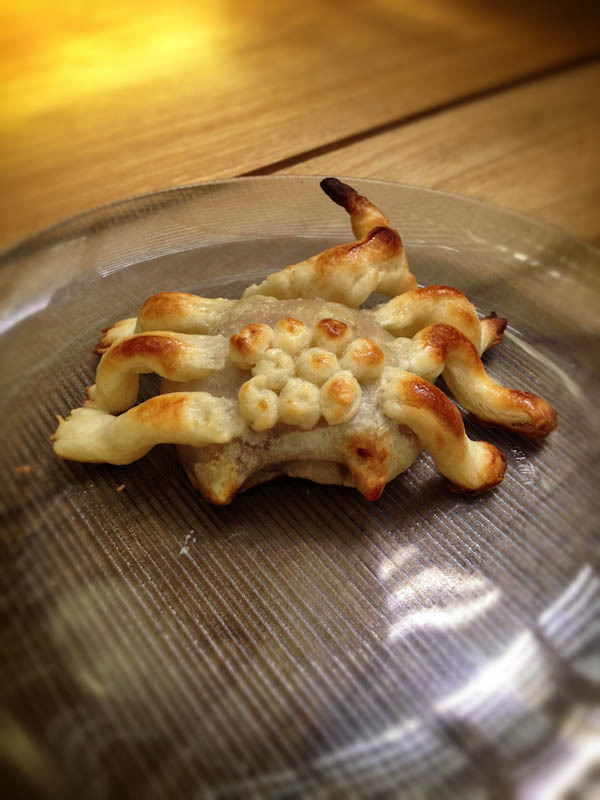 Meg’s monster-shaped empanada, voted most original empanada by an international panel of judges. My cow-shaped empanada, trying not to look too much like a loser. 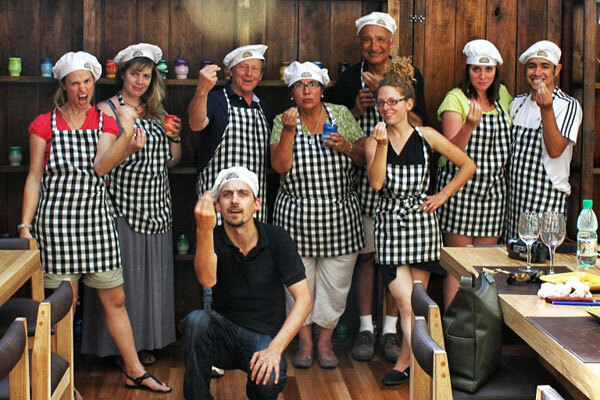 The Argentine Experience is a cross between a restaurant, a cooking school, a cultural tour and live entertainment. It’s in Palermo Hollywood, one of the nicest areas to visit in Buenos Aires. If you think the lunch looks good, you should try one of their steak dinners. Meg and I certainly plan to when we get back to Buenos Aires! 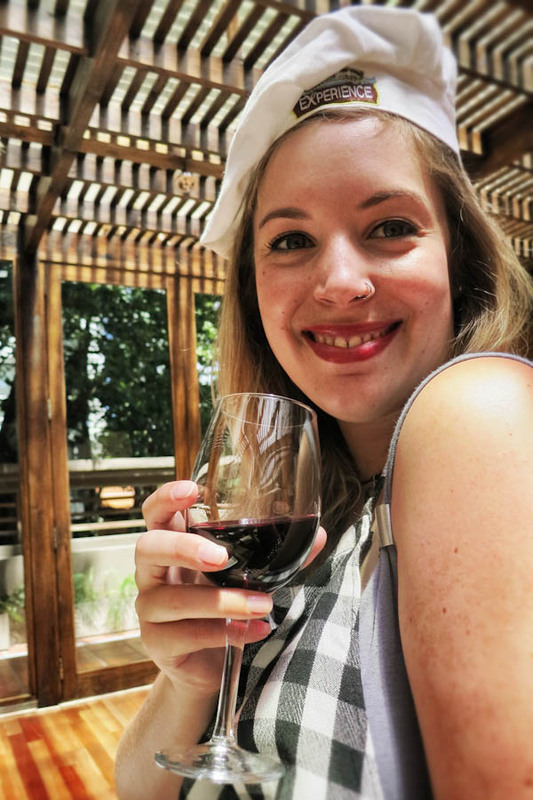 Posted in Buenos Aires, Travel blog, Travel writingTagged alfajore, Argentina, argentine experience, buenos aires, cooking, empanada, food, malbec, palermo, wineBookmark the permalink. What a small, SMALL world! I’ve been following your blog for awhile, I never realized it was you in my cooking class! Good luck with your travels!